The Russian Navy is reportedly set to sell one of its biggest landing crafts as scrap metal, as modernizing the vessel would be too costly. The massive seaborne assaults it was built for never came to fruition. “Also, [the] ship’s necessity is questionable from a strategic point of view. 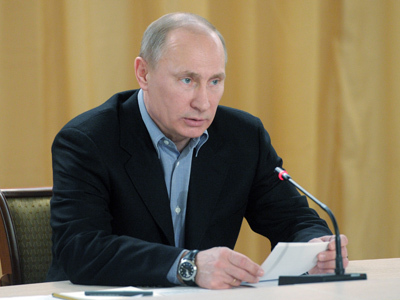 Russia does not plan to land seaborne troops anywhere,” the source said. The Soviet-built naval line, known collectively as ‘Project 1174,’ entered service in 1991 in the Northern Fleet. Each ship can provide sea transport and landing for up to 50 tanks (or 80 armored vehicles, or 120 trucks) and 500 marines. They can also carry four Ka-29 transport-combat helicopters, air defense missiles and volley-fire rocket systems to support landing operations. The USSR constructed three such ships in total. 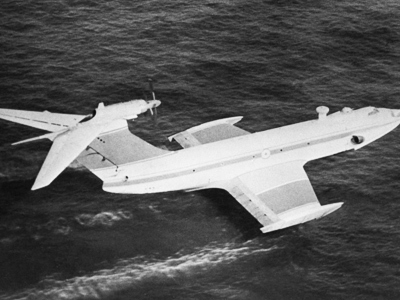 The first ship of Project 1174, the ‘Ivan Rogov,’ entered service in 1978 and was the namesake of NATO’s classification scheme for the series. It was scrapped in 1996. The second, the Aleksandr Nikolaev, was built in 1982 and is now in conservation. The third, the Mitrofan Moskalenko, has remained docked for most of its life and was put into conservation in 2002. As of now, all of Russia’s landing ships were made during the Soviet era, and are no longer useful. 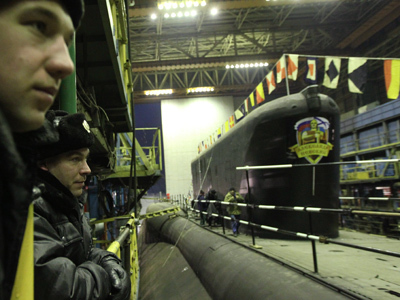 By the next decade, they will all likely be scrapped, naval expert Andrey Frolov told Ivestia. 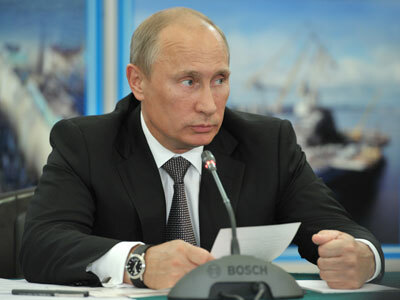 “In such a way the Russian Navy’s capability to conduct massive assault sea-born operations outside the country will be very seriously limited,” Frolov said. To speed up modernization of the Russian Navy, Moscow has ordered two French-made Mistral-class helicopter aircraft carriers, and is preparing to build two more in Russian shipyards. A series of six large modern landing ships ‘Ivan Gren’ (Project 11711) have been launched to replace the outdated Soviet-made ships, including the Mitrofan Moskalenko. 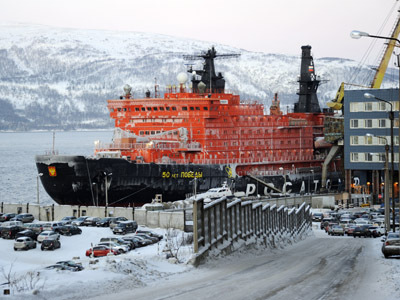 The first vessel in the series, the ‘Ivan Gren’, was put to sea on May 18, 2012. It is expected to enter service next year. Most of the Russian Navy’s new landing vessels are either in construction, or in the design phase, which leaves many experts doubting the stated purpose behind the decommissioning of the two remaining large landing ships. 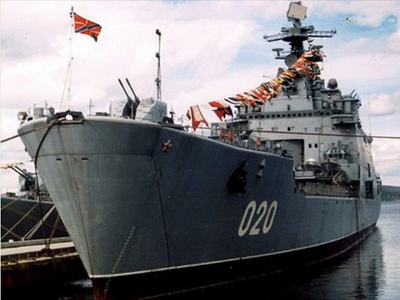 “Ships of the Mitrofan Moskalenko series are notably universal and their characteristics are not only comparable to the Mistral-class ships, but in many ways exceed them,” a naval expert told the Interfax news agency. Unlike Mistral-class ships, Project 11711 ships can deploy troops directly on to shore. 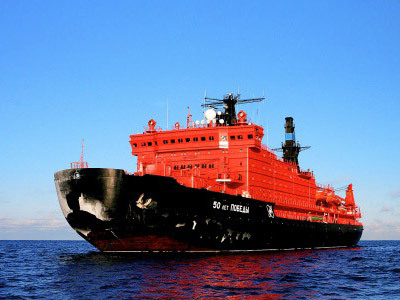 Izvestia newspaper claimed that the maximum amount the Russian Navy could hope to earn from auctioning off the Mitrofan Moskalenko is $2.5 million, the price of the 11,500 tons of steel the ship is made of.